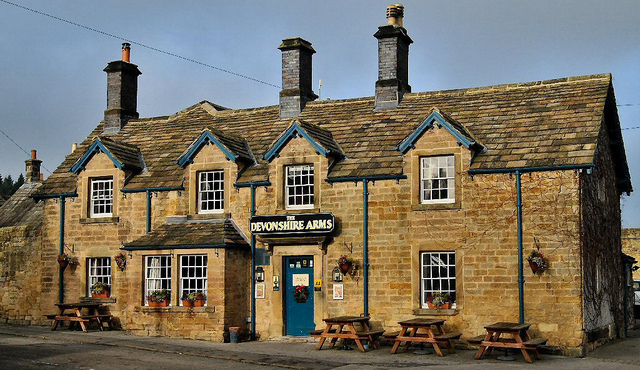 Set in the idyllic village of Pilsley, dog-friendly The Devonshire Arms in the Peak District is the perfect place for you and your furry friend with comfortable rooms, delicious food, local ales and warm hospitality. 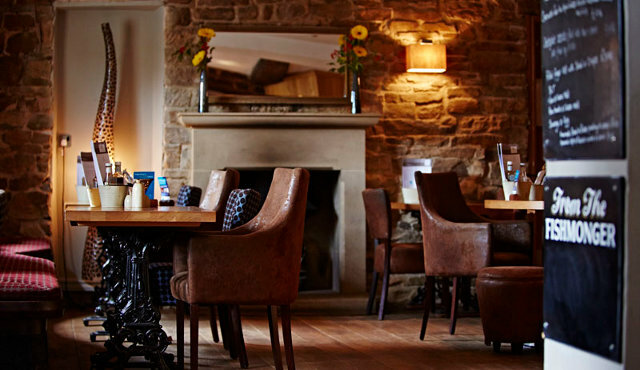 Traditional and quaint from the outside, the inside of this boutique hotel boasts a contemporary gastro-pub style – warm colours with splashes of vibrancy, bold patterns, modern furnishings and traditional country pub character. Explore Chatsworth Gardens and the delights of the Peak District with your canine friend, stocking up a picnic basket at the famous Chatsworth Estate Farm Shop before you leave. Sounds idyllic to us. 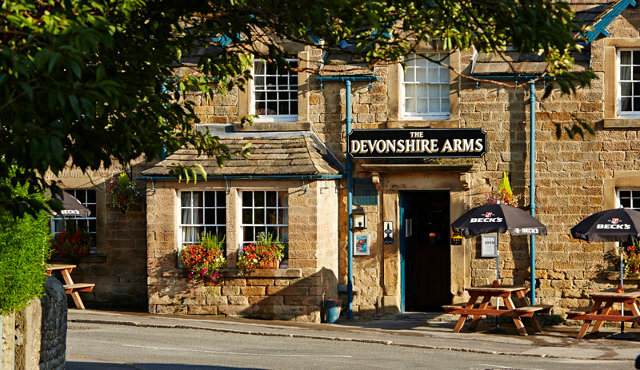 The Devonshire Arms offers comfortable pub style dining, with an eye-catching interior that combines wood and stone with rich, colourful fabrics and bold patterned wallpapers. 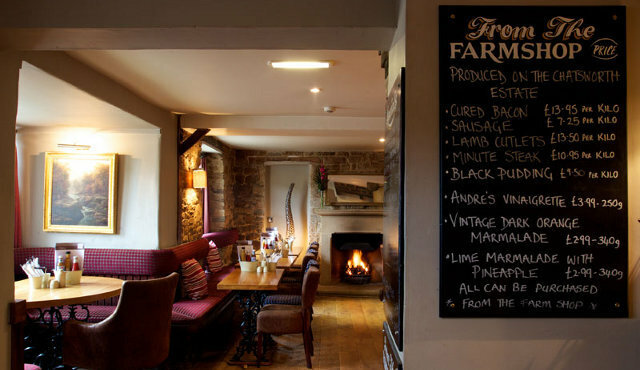 Alan Hill, Chef Patron for The Devonshire Arms, has created a menu of hearty, comfort food favourites that celebrate the abundance of good quality local produce in the area, much of which comes from the Chatsworth Estate Farm Shop. With the Peak District on your doorstep, there is plenty of stunning countryside to explore with your four-legged friend in tow! 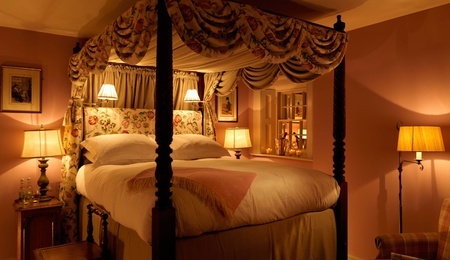 Dog-friendly rooms are located in the Farm House, and are all furnished with luxurious four-poster beds. 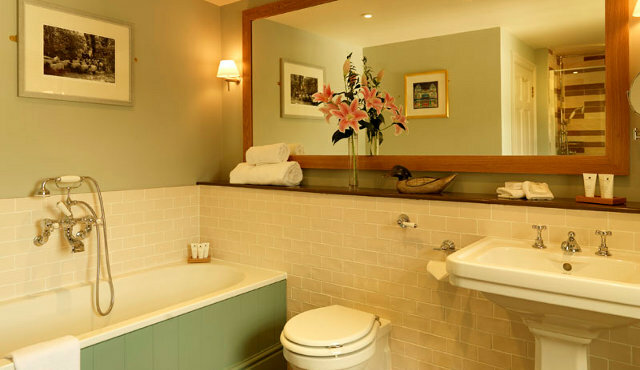 All rooms boast well-equipped en-suite bathrooms, tea, coffee & hot chocolate making facilities, plasma TVs, soft beds and fluffy towels. 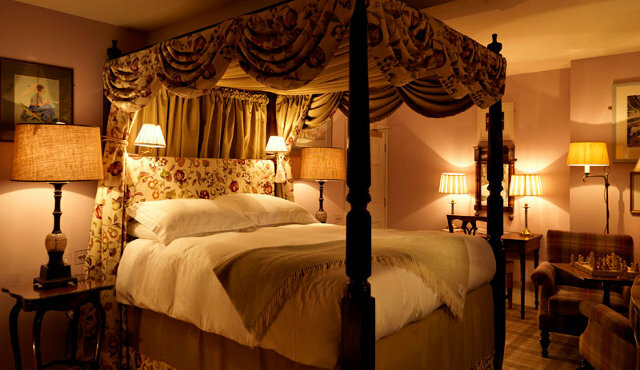 Located over two floors in the gorgeous adjoining Farmhouse, Four Poster rooms add that little bit of luxury to your Chatsworth and the Peak District stay. 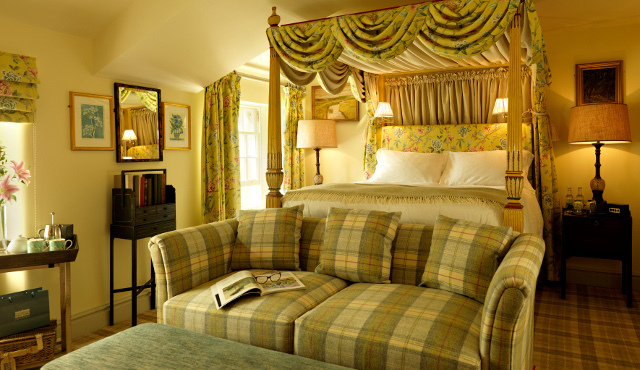 Each room has been individually designed by the Duchess of Devonshire herself and fitted to the highest standard. 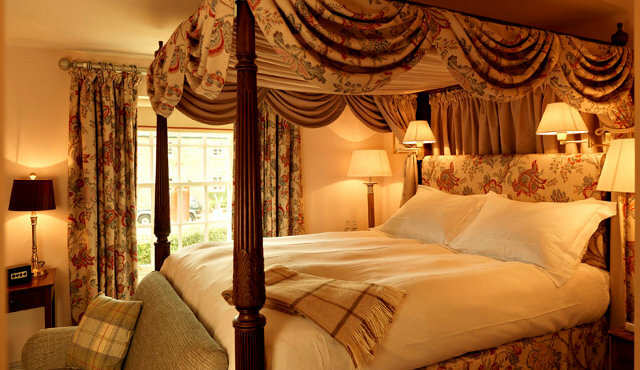 The rooms are spacious and boast a delightful four poster bed as well as a large en-suite bathroom with complimentary luxury toiletries. 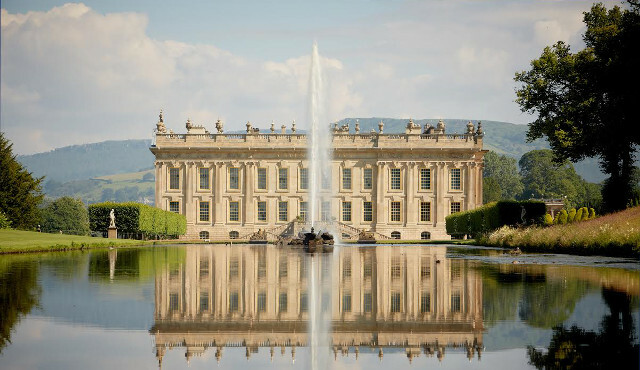 There are fabulous walks in the Peak District and by the river at Chatsworth. 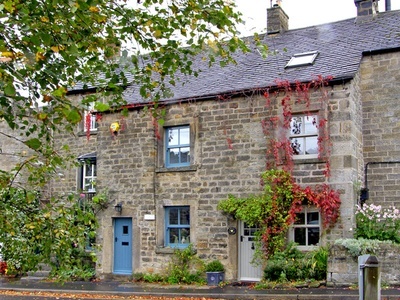 You should also make a visit to the historic Bakewell – home of the Bakewell pudding. 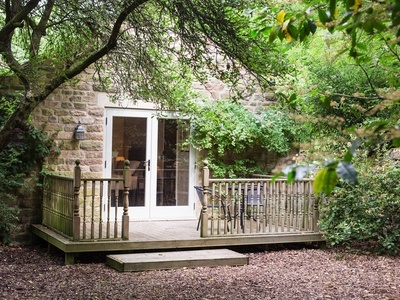 Venture slightly further afield into the Hope Valley for more lovely walks. 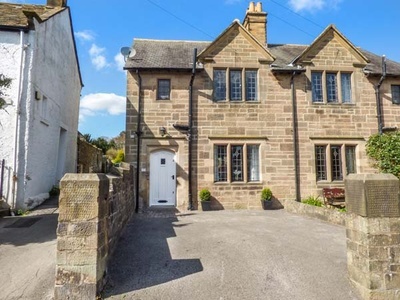 The dog-friendly Robin Hood Farm in the Peak District is a charming Bed &amp; Breakfast ideally situated in the picturesque village of Bakewell.